The cake was an 8" mudcake, layered and coated with a dark chocolate ganache. I had to send my sister on a cake board run for the cake, so while I was waiting I started making the "sides" of the box. It was not my original intention to make them separately, but it did help get them a bit neater. 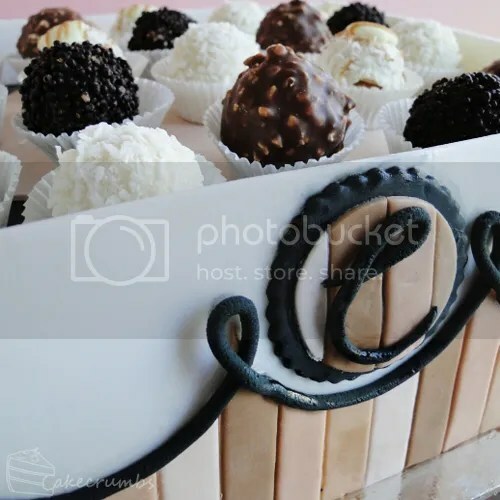 The cake is designed to look like a box of truffles. 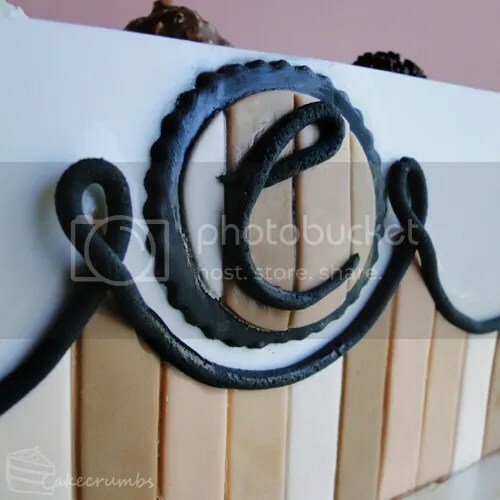 I gave it brown/chocolate stripes to make it slightly more gender neutral, then swirled with black fondant piping. I wanted the cake to have a monogram logo. Ordinarily I would have used the name of the recipient for the purpose, but as the cake wasn't for anyone in particular I gave it a "C" for Cakecrumbs. 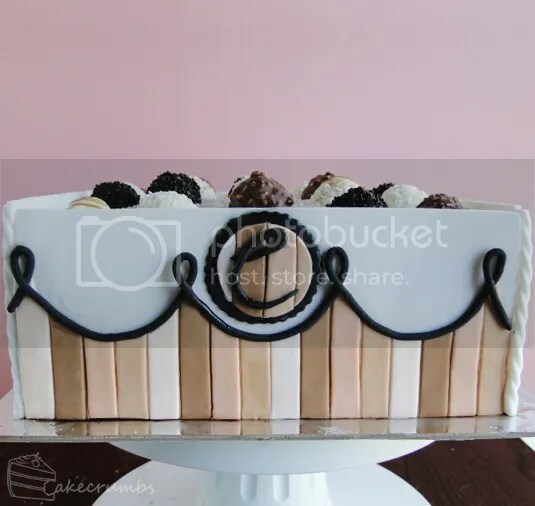 The corners of the box are embellished with twisted white fondant piping. 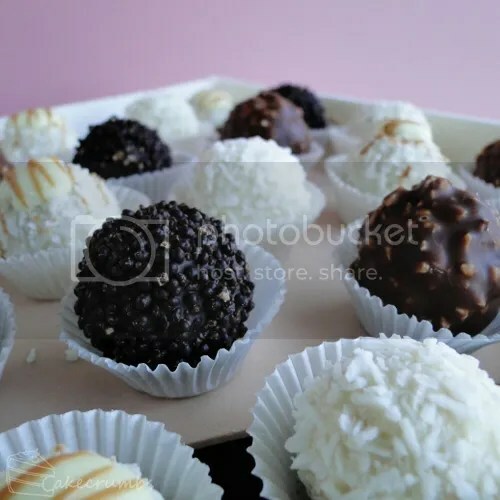 I didn't have time to make a whole range of truffles myself, so I went with the next best thing: Ferrero. I had to try super hard to resist nomming them myself. The cake raised $35 at the auction. That's not even cost price, but it was the highest grossing item in the auction. Most items crawled in $1 increments towards a final price of little more. This cake started at $5 and quickly progressed in $5 increments from there, so that was really flattering. In spite of the smaller-than-expected turn out, it was a fun night with hilarious auctioneers. Went spent the night laughing, eating pizza, and many score some really awesome things for a bargain price. The auction raised a total of $600 for the social committee. I would have been in shock. And scared about what you were thinking. =P He almost dropped a few things now that I think about it. 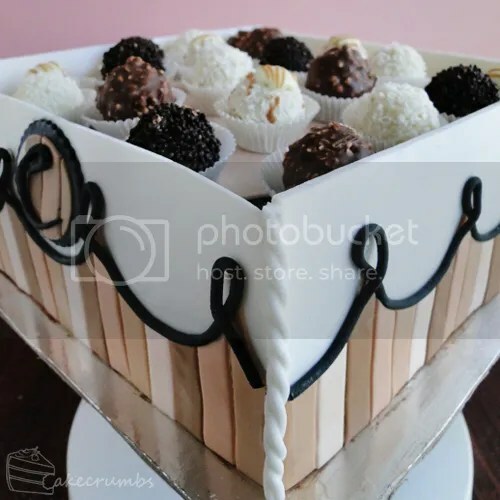 Congrats on scoring highest 🙂 I might make something like this for my sister’s bday – she’s a chocolate sort of girl all the way. Do you think a mudcake cupcake thing might work? Not sure what you mean exactly. Like cupcakes instead of truffles, or…? 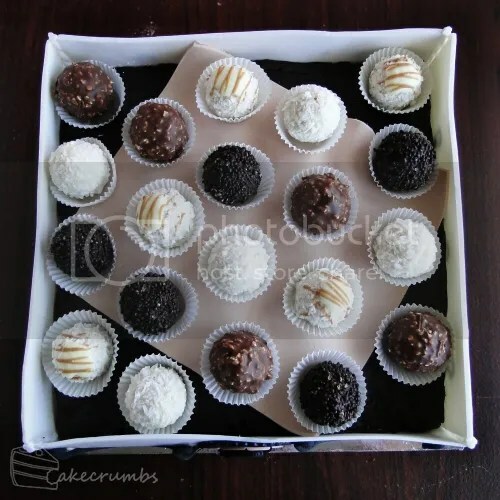 Ooh I meant, cupcakes/muffins instead of cake, and then truffles on top of those. Solike mini versions of this. Or so you think a mudcupcake is impossible? Definitely! 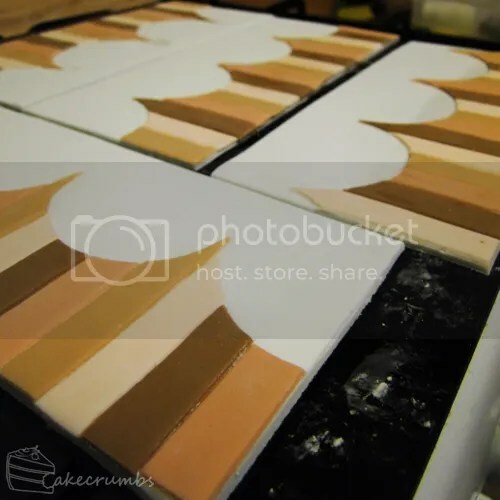 If you’re planning on having the fondant “box” around them, you could make a large cake and cut rounds out of that to get the straight sides. 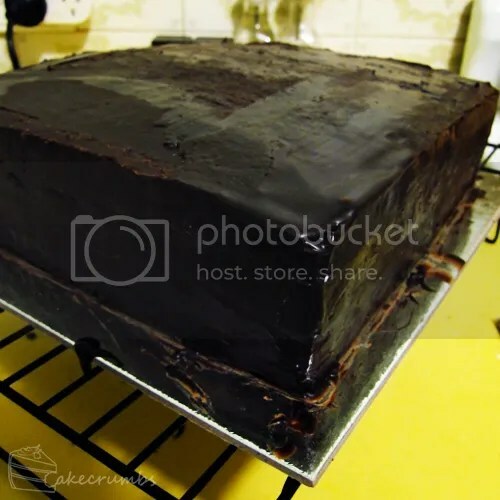 A mud cake is, as far as I know it, a moist chocolate cake. They’re usually dark chocolate.